Slots have become a part of many people’s daily routine. The immense fun and the possible money that they can bring is simply something that makes this casino game so inviting and interesting. Since, the introduction of the video slots and the online slots, they have become the best casino attraction. But what about a slot tournament? One of the most popular cruise ships operators, Princess Cruises has announced that they will be the hosts of the biggest slot tournament promotion that has ever taken place. This happened after the Princess Cruises inked a deal with Scientific Games Corporation – a gaming titan from the US soil which is regarded as one of the best systems innovators in the world in this industry. According to a report from G3Newswire which was issued on Thursday, Princess Cruises gave more info about their Monopoly Cruise for Cash campaign and said that it would be offered on many cruises during the whole year. The event will see its culmination in December when the slot tournament will take place for a $200,000 reward. The host for this tournament will be the Regal Princess which weighs 142,700 tons. One of the officials of the Princess Cruises, Anil Mansukhani, said that they were putting a lot of effort on keeping the slots portfolio updated and that they were investing in the new slot titles such as Monopoly Millionaire, Zeus Unleashed, Fu Dao Le, 88 Fortunes, and Lock it Link. This will continue until the Monopoly Cruise for Cash starts when his company will have the chance to show the latest technology in the field of slot games. More details were provided by the officials when it comes to Monopoly Cruise for Cash. First of all, they stated that it will have one of the highest prizes ever to be offered in such events. Furthermore, they disclosed the time and date of the cruise departure. It will start on December 9, leaving the Fort Lauderdale in Florida. 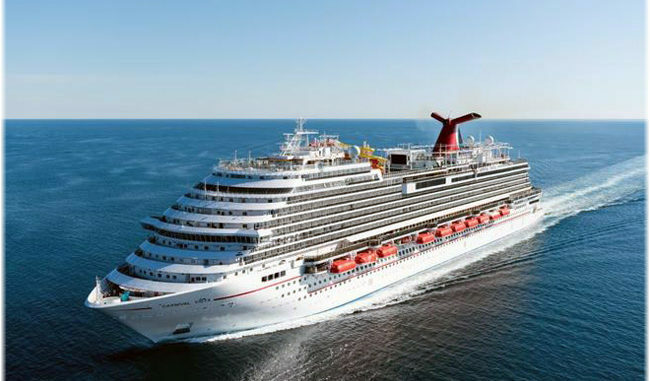 The cruise will last for one week and its primary destination will be the Caribbean. They will stop to visit several places there such as St Maarten, Saint Thomas, and Princess Cays. Although the slots will be the primary focus of these cruises, they will certainly not be the only game available. Namely, the Monopoly Cruise for Cash will allow their guest to win lucrative prizes and awards in some other games such as Monopoly Scratchcards, and Paradise Lotto. Mansukhani added that he was proud that Princess Cruises managed to continue the investment in the technology and gaming modernization on their vessels. These also included new slots and table product, new furnishings, and even a mobile gaming app called Play Ocean. The casino lovers and the experienced players already started giving them the highest rating for their effort and their casino offer. These cruises will certainly make somebody really rich and happy.